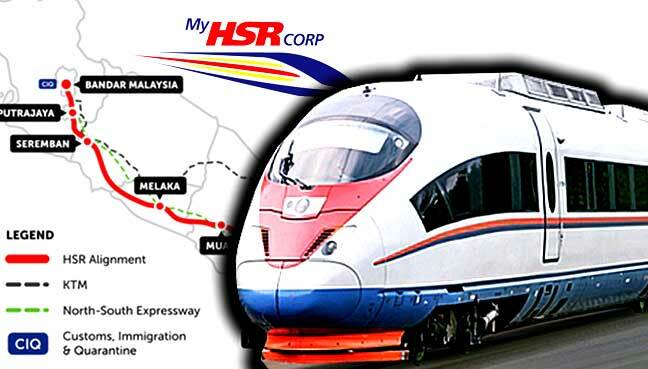 The Environmental Impact Assessment (EIA) report for the Kuala Lumpur-Singapore High Speed Rail (KL-SG HSR) is ready for public viewing from Wednesday. MyHSR Corporation said in a statement Tuesday the public viewing will start from Dec. 27, 2017 till Jan. 25 of 2018, and the public are encouraged to submit feedback and comments based on their review of the EIA report to the department of environment headquarters before Feb. 9, 2018. The EIA report describes the approach undertaken by the company, covering various assessment such as air quality, noise and vibration, waste, water quality, coastal hydraulic, terrestrial and marine ecology, hydrology, geology, traffic, risk hazard assessment, public health and safety. "We have outlined the necessary measures to address and minimize the potential impacts throughout all phases of the project, which covers pre- construction, during construction and operations," said its chief executive officer Mohd Nur Ismal Mohamed Kamal. The report will then be updated to incorporate feedback gathered from the public viewing and will be presented and considered for approval by the department of environment, he added.